Can you believe the latest Hunger Games movie is about to be here – The Hunger Games: Mockingjay – Part 2? My husband, my teenage daughter, and I are huge fans. We all read the books. We’ve gone to the midnight showings for all the movies. We cannot wait for the last one!! 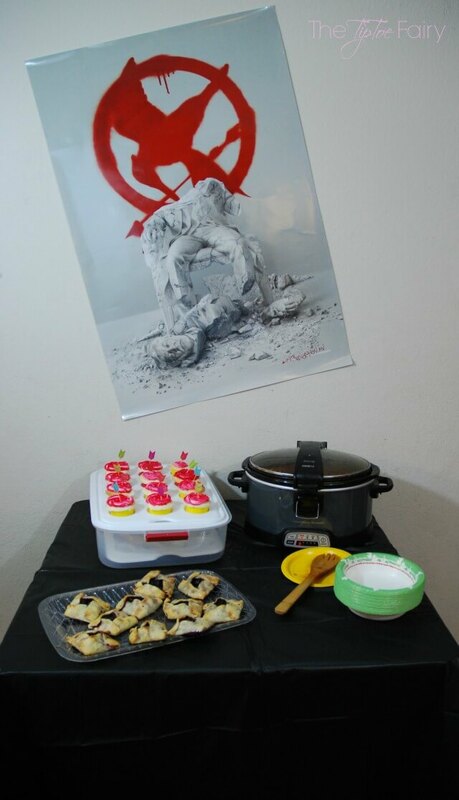 Because we were so excited, we invited a few friends over this weekend and had a Mockingjay Finale party. In the Mockingjay Part 2, Katniss teams up with her closest friends — Gale, Finnick, and Peeta with the help of District 13 to assassinate President Snow and free the citizens of Panem. The mortal traps, enemies, and moral choices that await Katniss will challenge her more than any arena she faced in The Hunger Games. 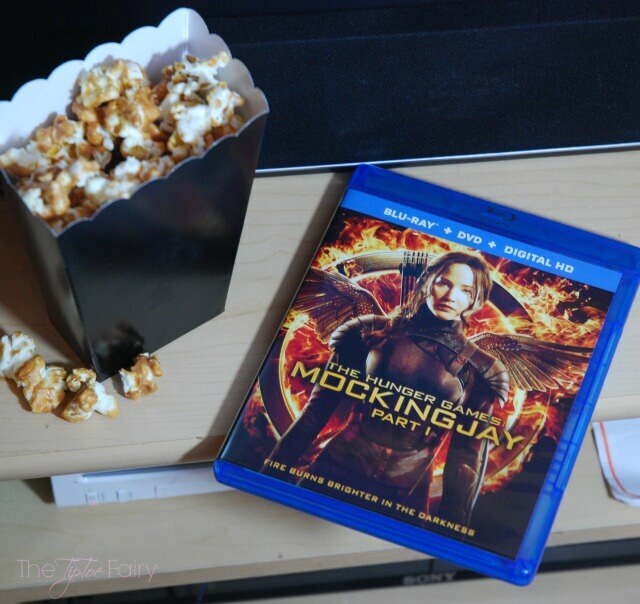 We watched Mockingjay Part 1 to catch up before part 2 comes out on 11/20. I created food to go along with the movies, and we played lots of games. I even found this awesome The Hunger Games card game. 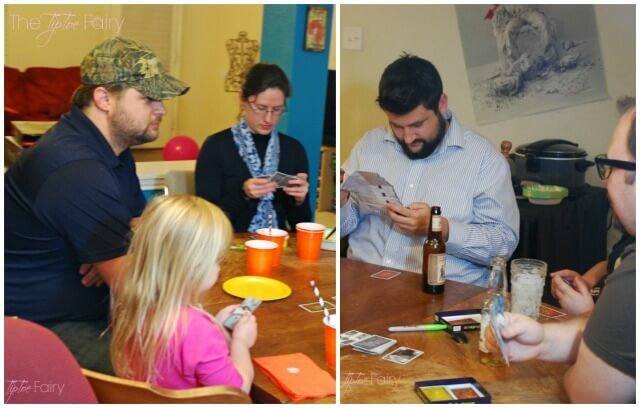 If you’ve played Love Letters or Coup, it’s somewhat similar. You are either a District Citizen or a Capitol Citizen and everyone has to figure out what you are. 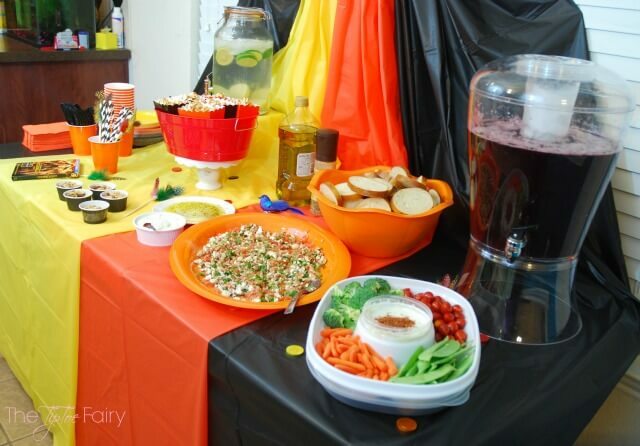 A fun party themed punch to celebrate The Hunger Games. In your beverage dispenser combine all ingredients and stir. Add some ice to chill. 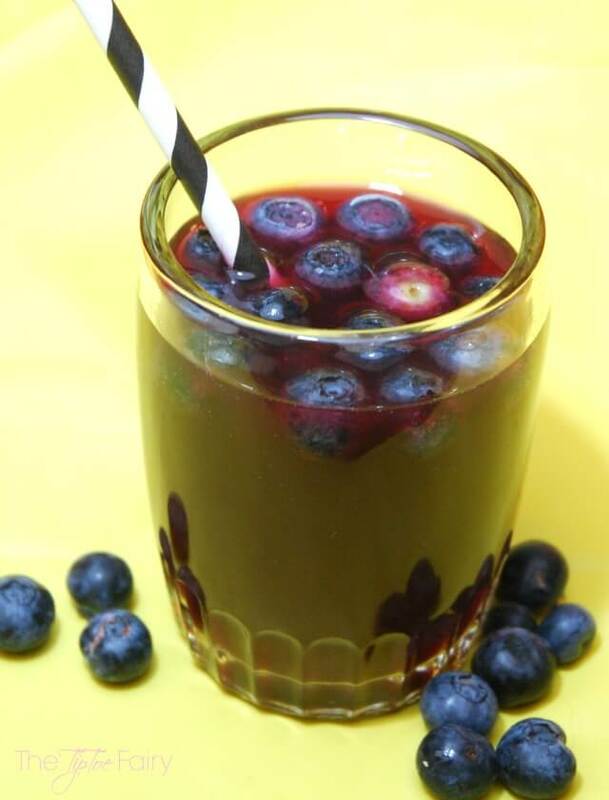 When served, add a few blueberries as garnish. Unroll each pie crust and using a 6-inch circle cookie cutter, cut out 3-4 circles. You will end up with 12-16 mini pie crusts. Combine in the frozen berries and sugar and heat in the microwave for 1-2 minutes. Mix the fruit and sugar. Add a heaping tablespoon of berries to the center of each mini pie crust. Fold the pie crusts edges inward around the circle. Do this for all the pie crusts. Place each tart on a cookie sheet covered with parchment paper. Brush the tops of the tarts with cream. Using the tablespoon of sugar, sprinkle each tart with a little sugar. Bake for about 20 minutes until crusts are golden brown. 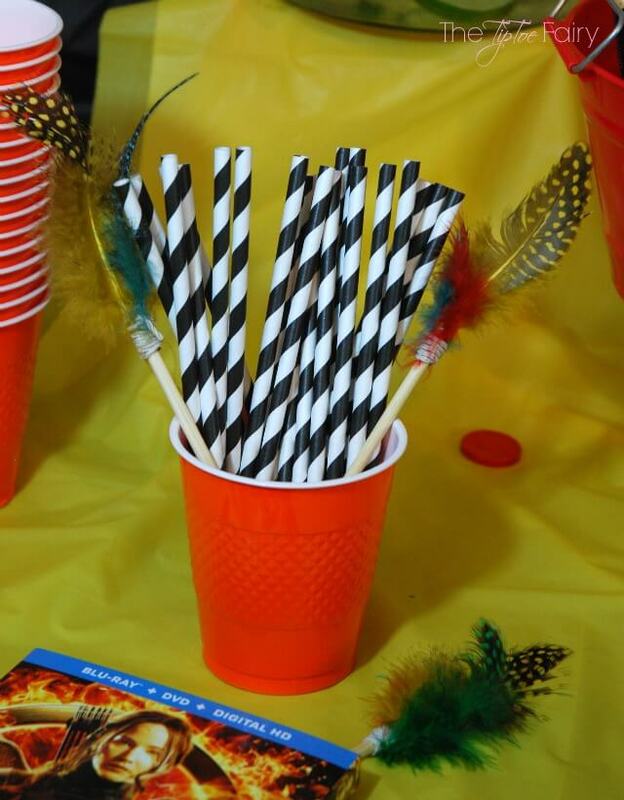 I also made some arrows from feathers, glue dots, twine, and short wooden skewers, which I placed all around the tablescapes. We had a great time, and everyone loved the party, especially the food! Enter below to win 1 of 5 $100 Fandango gift cards to purchase tickets for Mockingjay – Part 2! The contest runs from Wednesday, November 4, 2015 through Thursday, November 22, 2015. 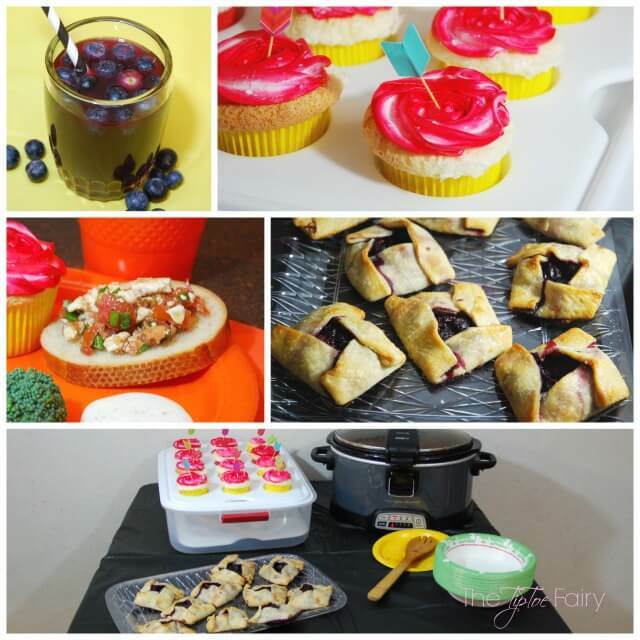 Stayed tuned where I share a few more recipes from our party later this week! Don’t forget to get your movie tickets in advance and go see Mockingjay – Part 2 this opening weekend. Who are you taking to the movie this weekend? I can’t WAIT to see the last part of the movie and neither can my daughter! Love your nightlock tarts – such a cute idea! Those tarts look fabulous and I’m embarrassed to admit that I haven’t seen any of the Hunger Games movies. I need to do a marathon to catch up so I can see the latest one when it comes out. My daughter has seen them all and is a big fan. Your party is awesome and those tarts would be perfect for breakfast, too. I cannot wait to go see the movie. I’be been looking forward to it since the last one came out. Too excited! Ah, I cannot wait to see the movie! I may just have to have a party like this one! Great party! It looks like so much fun! 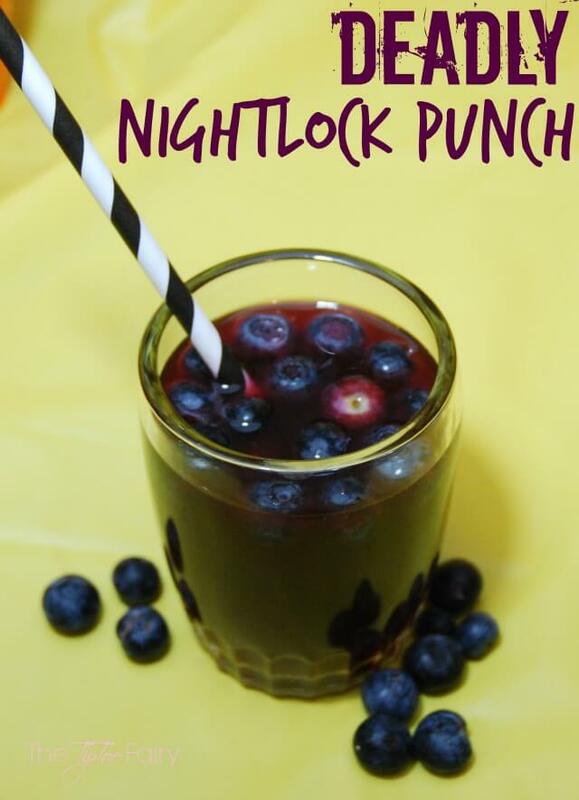 That nightlock punch looks delicious! I’ll try that one soon! Now THAT is an awesome party! The food looks so good. Looks like you guys had a lot of fun. I’m definitely trying the tarts. Great recipe. I am looking forward to seeing the new movie too and what fantastic tarts and drinks to serve while watching it. Wow this is amazing! I’ve never seen any Hunger games or read the books (I’m awful I know) but I would LOVE to my oldest is bugging me to as well! Sounds like my type of party. My son is into the hunger games so this would be perfect for him. 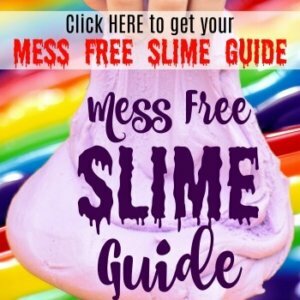 What a fun theme for a party! The feta dip sounds especially great. This makes me want to read the books and see the movies again! I can’t believe part two is coming out in theaters already!! What a great party to get read for the next movie! What a great party theme. My daughter is dying to see this on Friday. This looks like an amazing party! I am loving that punch and the name too, so clever! WOW this party looks amazing!! 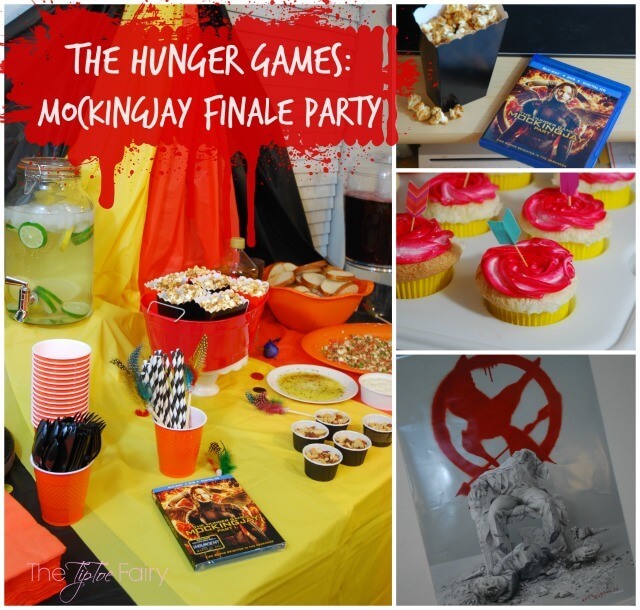 You did such a good job setting everything up – this is like the ultimate Hunger Games party! Everything looks great!